What are Vaccines and How Can They Protect Your Child? 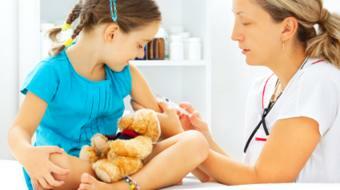 Dr. Duncan Miller, B. Sc, MD, discusses What are Vaccines and How Can They Protect Your Child? Vaccines are one of the greatest advances of modern medicine. Indeed, apart from clean drinking water and sanitation, they've probably saved more lives than any medication. One of the great disadvantages of vaccines is they work too well and what's happened recently is that people have lost sight of some of the dreadful diseases that these wonderful things can prevent. For example, polio, smallpox, mumps, measles, meningitis are all dreadful diseases that we just don't see as we used to. Another concern about vaccines is there's a great deal of misinformation out there. There was a well-known study about the measles/mumps/rubella or MMR vaccine that showed a link to autism, and this led to a great decline in uptake of parents vaccinating their children, and this had disastrous consequences. 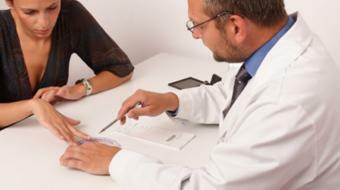 Subsequently, that study has been refuted countless times, and has been shown to be a fallacy, and fortunately, people are realizing that, and are now, vaccinating their children more. Another problem is with the flu vaccine and people say that, "I got the flu vaccine and I've never been so sick in my life," when, in actuality, there is no flu virus in the vaccine itself. It's sorta like showing your body a photocopy of the criminal as opposed to having that criminal show up in your living room. So, there's nothing there that's gonna cause you harm; it will just help prevent that illness. Childhood vaccination is particularly important. When we're born, we're given a certain amount of immunity through our mother in the womb, but also, in breast milk. However, that sort of immunity is called passive immunity in that it doesn't last and it gradually fades away over months. And that leaves the child vulnerable just at a time when it's exposed to a lot of potential illnesses. So, just as we have to learn how to speak, and we learn how to crawl, we also have to learn how to fight infections, and by giving children not only all the vaccines that they should get, but also giving them the vaccines on time, we greatly reduce the risk of potentially fatal diseases. If you have any questions at all about vaccination, you should contact your primary healthcare provider. Remember that treatment for this condition varies not only with the patient, but their individual condition, so always consult your local healthcare provider. Vaccines have been one of the greatest inventions of medical history saving more lives than almost any other drug. Diseases such as Polio, Mumps, Measles,Tetanus and Meningitis are amongst the diseases that vaccines can prevent and are not seen today as they once were.